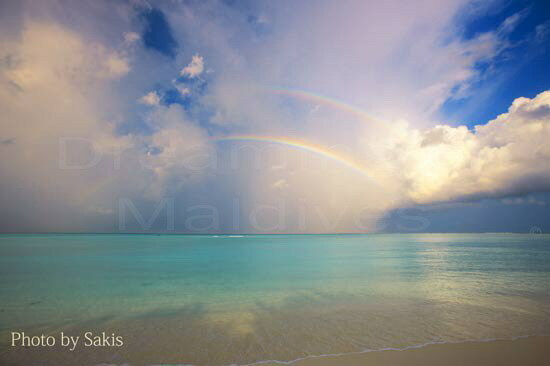 Dreaming of Maldives…A Photo of a Magical moment . 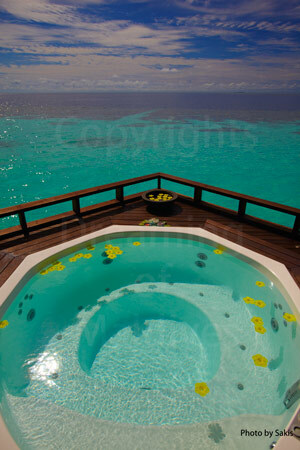 Dreaming of Maldives…Just for pleasure, enjoy an unique and magical moment in Maldives. Windsurfing in Maldives, Funboarding in Maldives, Kitesurfing in Maldives…all pleasures allowed ! Windsurf lovers…make your choice and get ready for MAGICAL times. Maldives are mostly known for snorkeling and diving. But what about windsurfing, funboarding and kitesurfing ? Sailing on Maldives pristine lagoons is a must and will definitively offer unique sensations to both beginners and advanced. But surprisingly, despite of their amazing natural assets, Maldives still did not receive the recognition they deserve also on this matter. 2 consecutive years of windsurfing in Maldives gave me the chance to experience totally magical and unique moments on their blue lagoons. Maldives are indeed a Paradise to play with the wind and I believe that more facts, information and advises should be given. Some of the following information might be totally new for you. But before starting, I wish to outline that beyond diving and snorkeling, Maldives are also known for being an ideal surfing spot. This activity would obviously deserve to be focused on, but surfing does not require the same spot conditions, logistic and holiday routing plan. Surfing in Maldives is a vast subject that will be developed in a future article. Let’s concentrate here on windsurf, funboard and kitesurf. On the other side Water skiing and Jet skiing are less common in Maldives. I will also post about this subject later on. A little patience…. Windsurfing, Funboarding, Kitesurfing in Maldives, all pleasures allowed and highly recommended ! Can I practice such activities in Maldives ? YES. Absolutely. But not everywhere. The possibility to practice depends mainly on the equipment and assistance on location. Mostly, all resorts have a Water sport center to offer, but they differ from each other in matter of quality and choice of equipment. Furthermore, resorts with very small lagoons will eventually not provide them or partially. In general, resorts do have material at disposal. Among others, they offer basic windsurf equipment – varying from the old to more recent models – funboard equipment – varying also according to the islands – and last but not least, kitesurf gear. For information kitesurf is quite recent in Maldives and is getting more and more widespread in the archipelago. Material must not be more than 9.84 feet long. Material must be correctly and securely packed. Material weight must be part of your checked baggage allowance. How can I be sure to find good material on location ? It is difficult to answer for sure. Detailed information about resort water sport equipments are not that easy to find. Keep in mind that all equipments are quite always subject to an extra fee. Some resorts put at disposal ideal gears to have a fantastic ride, meanwhile some others just offer the minimum acceptable to enjoy it. On this matter, I strongly advice you to get information and confirmation with the hotel or via your travel agent. Pay attention, resort category does not matter in this case. I saw very nice water sport centers in simple 3 stars resorts ! I am a beginner, can I learn windsurf and Kitesurf in Maldives ? Yes. Quite all resorts have material for beginners. Some of them also offer small sails for an easier start. Differences between services in resorts mainly resides in their ability to offer a good instruction team and the natural assets of the island itself. But again, it has nothing to do with the category of the resort. If instructors are not guaranteed everywhere, you have chances to meet a friendly and helpful Maldivian at the water sport center who will be happy to teach you the basic. 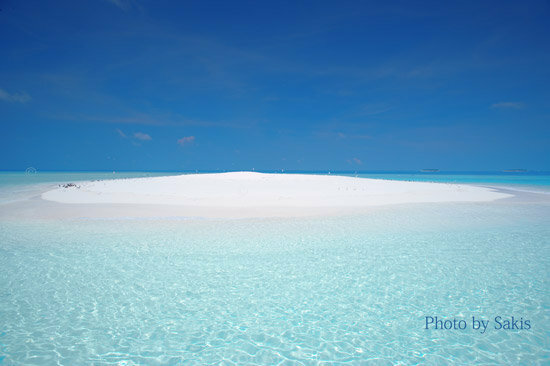 Concerning the island environment, you should prefer an island with a large lagoon, not to crowded with corals; All Maldivian islands do not offer this particularity. You will have to be careful with the numerous snorkelers and swimmers who will also enjoy the beauty of Maldives paradisiacal lagoons. Is it dangerous to practice them ? Alike any water sport activity, some basic rules have to be kept in mind and some of them must not be forgotten for your own safety and of course the safety of others. Firstly, even if you believe you are a confirmed windsurfer or kitesurfer, do not go too far from your island. Please inform the team at the water sport center about your ride plan, the weather and check if there is a safety boat. Ask also if rescue will be extra charged on your bill. Any spot in the world ( particularly tropical destinations with corals) has its own defect : corals, narrow and difficult reef channels, various lagoon depths, currents but also sudden wind changes, mostly during the monsoon, that might be sometimes destabilizing, mainly if you left the beach with a big sail. You can easily find yourself in a very delicate position, subject to currents, tough winds and very rough seas. Again, listen carefully the water sport member(s), they know their lagoons like no other. Finally, respect snorkelers, divers and swimmers who are obviously king of the destination. What are the best resorts in Maldives for windsurf, funboard and kitesurf ? 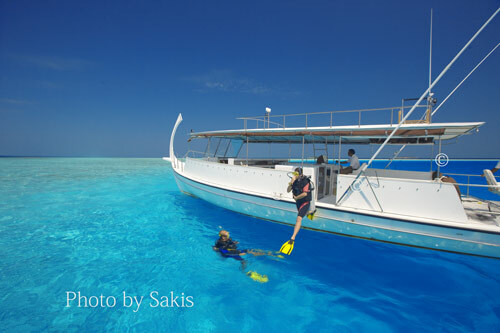 Sliding on the incredibly turquoise and transparent lagoons of Maldives is an absolute pleasure. You will be amazed by the extraordinary pristine waters that will run under your board. According to the spot…and if it is your lucky day, you will be able to see many fishess and even stingrays passing by as you slalom. To be able to live the ultimate sliding sensation in Paradise, you should choose a resort featuring a wide lagoon. Most of resort websites show aerial views of the island and it should give you a good idea of the spot. Do not forget the fantastic observation tool of Google Earth. From my personal experience, I will keep in memory the following islands : Rihiveli, Velassaru, Baros, Meedhupparu, Medhufushi, Kuramathi, White Sands- (prev. Ari Beach) among others. All these resorts have absolutely wonderful and perfect lagoons for windsurf, funboard and Kitesurf. 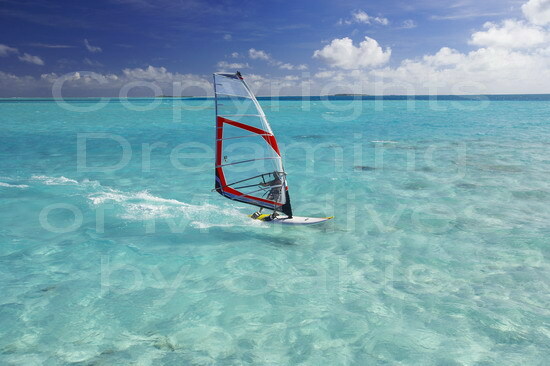 Maldives windsurfing conditions are generally better for a smooth and fantastic slalom. Waves are not their best asset and can be found outside house reefs, but you need to be well prepared and again to check with the water sport team. I believe it is also worth mentioning that you will rarely windsurf or kitesurf in crowded conditions. Often alone or with tiny groups, the lagoon is yours and the pleasure is complete. What is the best season to enjoy windsurf, funboard and kitesurf in Maldives ? Beginners can enjoy them and learn all year long. Advanced will rather come during the monsoon, between May and October( low season in Maldives- due to the high probabilities of bad weather), when winds are more regular and strong to very strong. Skies turn dark, lagoons take a fascinating bright turquoise color. The contrast is then amazing and worth being seen. The rest of the year, approximately from October until April, high season in Maldives, generally proposed as best period to travel is more random. But rains and winds ( small depressions) still can occur…it is unpredictable.